Renewed determination by discouraged preachers and commitments by laypeople to honor the preaching of the word were among the fruit of a preaching conference in the Philippines this fall sponsored by BibleMesh. Organized by BibleMesh Institute student Joshua Gurango and two other ministers in Metro Manila, the October 27 “Theology of Preaching” conference featured sessions on preaching and listening to preaching, as well as an open discussion on theology and local church ministry. 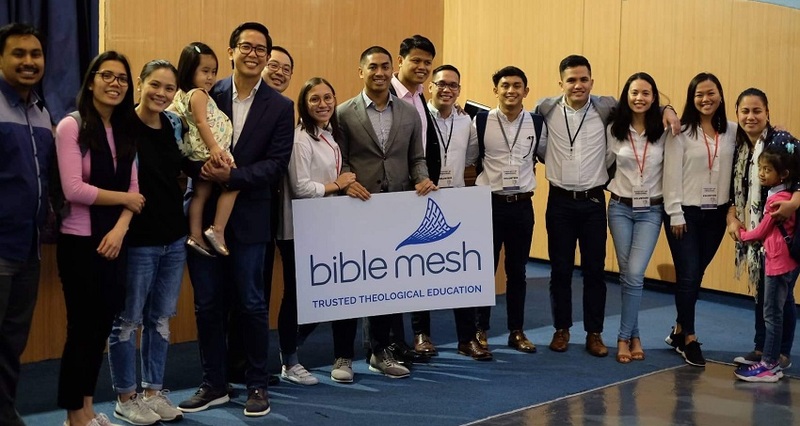 The conference built on the success of a BibleMesh-sponsored conference in the Philippines last year on the 500th anniversary of the Protestant Reformation. The conference, cosponsored by Metro Manila’s Pilgrim Community Church, also included giveaways of BibleMesh discipleship resources and a dinner for preachers at which Gurango explained how to use BibleMesh courses in a local church discipleship program. Gurango is head of pastoral care for the Eastwood satellite of Christ’s Commission Fellowship (CCF) – a Philippines-based nondenominational church with 60 satellites worldwide – and is about to launch CCF Eastwood’s third cohort of adult students through a series of BibleMesh courses that cover biblical and systematic theology, church history, and apologetics. 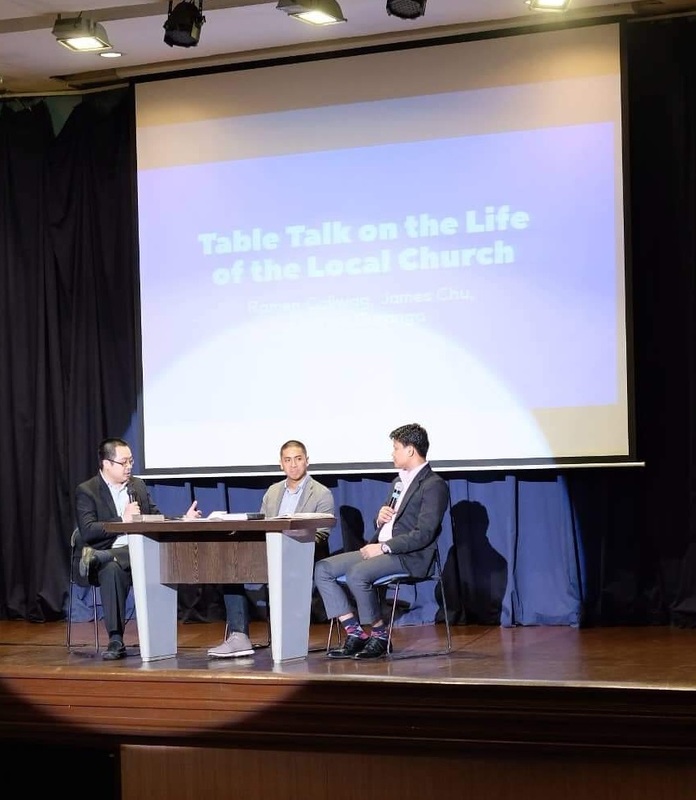 Following the three plenary addresses, a “table talk” discussion with the three speakers dealt with “the life of the local church.” The discussion reminded believers that “rejecting the means of grace,” including preaching, is “rejecting the grace of the means,” Gurango said. Among results of the conference, one attendee said he “realized not being attentive to the preaching of [his] pastor ultimately revealed … indifference toward Christ and His Word and the grace He is extending,” Gurango said. Other attendees said the conference encouraged them to keep preaching faithfully in their churches rather than seeking new places to minister. Several conference goers said the event confirmed their calls to ministry. An increasing number of psychotherapists recommend a Buddhist meditation technique. The practice is called “mindfulness meditation,” through which therapists help clients solve emotional issues by instructing them “to foster an awareness of every sensation as it unfolds in the moment.”1 Yoga continues to gain popularity as well, with its goal of “highest Joy that comes from the Realization in direct experience of the center of consciousness.”2 Then there is New Age meditation, which takes strategies from Eastern philosophy, yoga, mysticism, and Buddhism for spiritual and ethical guidance. The range of contemporary “meditation” options can easily cloud the understanding and application of meditation as a Christian spiritual discipline. Joshua 1 marks a key turning point in Israel’s history. Moses, their longtime leader, has died, and God transfers the role to Joshua. The covenant promises given to the patriarchs are beginning to flower, as the nation is poised on the brink the Promised Land (1:11). Before this momentous event, however, the Lord commissions Joshua and gives him several commands. Central to these imperatives for the new leader is the command concerning the Book of the Law. The imperatives “shall not depart” and “shall meditate” form the backbone of verse 8. To modern sensibilities, it seems odd that the Lord would focus on the mouth instead of the eye (to read), but in the Ancient Near East, reading was commonly done aloud. This could help to explain why the book was not to depart from Joshua’s mouth. Meditation essentially means a slow, intentional “chewing” on the text. In fact, the term “meditate” denotes something like mumbling or speaking under the breath. This can be seen today in rabbinic practice. Whether in private or at the Wailing Wall in Jerusalem, many Jews mouth the words of Scripture quietly. God does not command the new leader to meditate for mere scholarly purposes; instead, He binds meditation with ethical living. “…so that you may be careful to do according to all that is written in it.” Psalm 1 paints the same picture: the blessed man is the one who meditates “day and night” rather than walking in the way of sinners. Meditation is not meant to be a mindless escape from reality or reflection on one’s own problems. Instead, Christian meditation always focuses on God and His Word for the purpose of holiness and obedience. A believer pauses with God’s Word open before his heart and his mind, prayerfully seeking to understand and apply the Lord’s directions. For meditation to be effective, the mind must be full of God’s inerrant Word, not man’s mere thoughts or yearnings. Indeed, this practice marks the believer “day and night,” leading to holiness and Christlikeness. 1 Benedict Carey, “Lotus Therapy,” New York Times Website, May 27, 2008, http://www.nytimes.com/2008/05/27/health/research/27budd.html?ex=1369627200&en=243cf577038c27b1&ei=5124&partner=permalink&exprod=permalink (accessed June 8, 2010). 2 “The Joy of Traditional Yoga Meditation, Contemplation, and Devotion,” Traditional Yoga and Meditation of the Himalayan Masters Website, http://www.swamij.com/ (accessed June 8, 2010). Q: My New Year’s resolution is to start reading the Bible, but I don’t know where to begin. Can you help me? A: There is no wrong place to start reading the Bible. The book of 2 Timothy says that “all Scripture is breathed out by God and profitable for teaching, for reproof, for correction, and for training in righteousness” (2 Timothy 3:16). While the Apostle Paul wrote those words specifically about the Old Testament, they apply to the New Testament as well. Regardless of where you begin reading, God guarantees that the words on the page are true, sent from Him, and powerful to change your life. Still, different Bible reading plans are better suited for different people. So here are a few methods to consider as you launch into the new year. Read through the entire Bible in a year using a reading calendar. You can find many plans online for covering every single verse in one year. Here is one popular reading calendar by nineteenth-century Scottish minister Robert Murray M’Cheyne, which has you read the Old and New Testaments each day. Here are some other popular reading plans. To read at a slower pace, use a one-year plan but only read half of the assignment each day. This helps some people understand and apply what they read more effectively. And it will take you through the Bible in two years. Start in one of the Gospels (Matthew, Mark, Luke, or John) and read a chapter each day. These books tell the story of Jesus’ life on earth and are a great place to learn about following Him. Start at the beginning. Begin with Genesis, the first book of the Bible, and read Scripture in the order it is presented. Go at your own pace. Have the Bible emailed to you. With this resource from Bible Gateway, you can have daily Bible readings sent directly to your inbox. Without having to tote around a hard copy, it allows you to read through either the New Testament or the entire Bible in a year. Use a chronological Bible to read Scripture in the order it occurred. Though standard Bibles are roughly chronological, some events happened in a different order than they are presented. For instance, the events in 1 Chronicles happened before the events in 2 Kings even though standard Bibles place 2 Kings first. A chronological Bible helps you understand the timing of Scripture’s storyline. Beyond these, there are many other ways to approach the Bible—some of which you should be able to discover by a quick Internet search. Any of them will help you experience the blessings that come from studying the greatest book ever written. In 2012, may it be a lamp to your feet and a light to your path (Psalm 119:105). J. C. Ryle was a prominent evangelical leader in the Church of England during the second half of the 19th century. A champion of orthodox doctrine in an age of theological decline, he never divorced dogma from holy living. In fact, his book Holiness, from which this excerpt is taken, argued that no true Christian lacks practical godliness. And developing godliness requires practicing the spiritual disciplines. 1 J. C. Ryle, Holiness: It’s Nature, Hindrances, Difficulties, and Roots, rev. ed. (Moscow, ID: Charles Nolan, 2001), 25. While serving as a pastor in the Chicago area, Donald Whitney completed the doctor of ministry degree at Trinity Evangelical Divinity School and penned Spiritual Disciplines for the Christian Life, which was widely distributed by both the Billy Graham Evangelistic Association and Promise Keepers. Since then, he has authored five other books, with forewords from such evangelical leaders as J. I. Packer, John MacArthur, and James Montgomery Boice. In recent years, Whitney has been a professor of biblical spirituality at Midwestern Baptist Theological Seminary in Kansas City, Missouri, and at The Southern Baptist Theological Seminary in Louisville, Kentucky, where he now serves. As his web site, www.biblicalspirituality.org, reveals, he has an extensive speaking and writing ministry, and as the following selection from his first book indicates, he makes no apology for his crowded schedule. He argues that a serious Christian is typically a busy Christian. 1 Donald S. Whitney, Spiritual Disciplines for the Christian Life (Colorado Springs: NavPress, 1991), 236. 10:39 But we are not of those who shrink back and are destroyed, but of those who have faith and preserve their souls. 11:1 Now faith is the assurance of things hoped for, the conviction of things not seen. 2 For by it the people of old received their commendation. In the darkest moment of Tolkien’s Lord of the Rings, Sam, the hobbit, looks up into the poisonous skies of Mordor, and receives an unexpected comfort. “There, peeping among the cloud-wrack above a dark tor high up in the mountains, Sam saw a white star twinkle for a while. The beauty of it smote his heart, as he looked up out of the forsaken land, and hope returned to him. For like a shaft, clear and cold, the thought pierced him that in the end the Shadow was only a small and passing thing: there was light and high beauty for ever beyond its reach.”1 For the first time in days, Sam curled up into a deep untroubled sleep. He once again had the strength to endure. This story of little Sam being heartened by the star is so poignant because it resonates with the Christian experience. Every Christian knows what it is like to want to give up, to lay down the sword and just surrender if that will quiet the world’s constant battering. The early Christians who read the book of Hebrews knew that feeling well. With some of their brothers in prison, others being plundered, and others probably dead, they were ready to quit—to throw up their hands and go back to being safe, innocuous, government-protected Jews (10:32-35). The author of Hebrews, however, would not let them. Endure, he told them, because you know that God has promised you victory (10:39). To the author of Hebrews, faith is more than the instrument of justification (though it is certainly that as well). It is the very ground of the Christian’s endurance, his reason for pressing on in the face of the most dreadful hardships. The apostle does not expect his readers to simply “gird up their loins” and tough it out. They would endure because their faith gave them assurance—beyond any shadow of doubt—that the salvation they hoped for would eventually come. It gave them proof, however unseen, that God would fulfill His promises (11:1). This was the same faith which allowed the heroes of the Old Testament to stake their lives on God’s promises, even when the realization of those promises was nowhere in sight (Heb. 11). Bolstered by such faith, the Hebrew Christians, like the saints who went before them, could face their persecutors with firmness, reliability, and steadfastness. Theirs was not an empty hope. It was a hope rendered secure by faith. Celebrating people of faith as Hebrews 11 does would have been unthinkable in pagan Greek culture. To fashionable Greeks, faith was the last mental stronghold of the uneducated, who blindly believed things on hearsay without being able to give precise reasons for their beliefs. The pagan observers were astonished by the willingness of Christians to suffer and die for the indemonstrable. Today, faith is still an enigma to most. The world sees Christians suffering ostracism, ridicule, poverty, even death, and they call it “foolishness.” They wonder why people would endure such suffering for a “fable.” But for those who actually endure the suffering, take the contempt, and make the sacrifices, it really is no mystery at all. They endure because they know by an unshakable faith that in the end their suffering is only a small and passing thing: there are promises and rewards laid up for them forever beyond its reach. 1 J. R. R. Tolkien, The Return of the King (New York: Ballantine, 1965), 211. In other editions, see book 6, chapter 2.